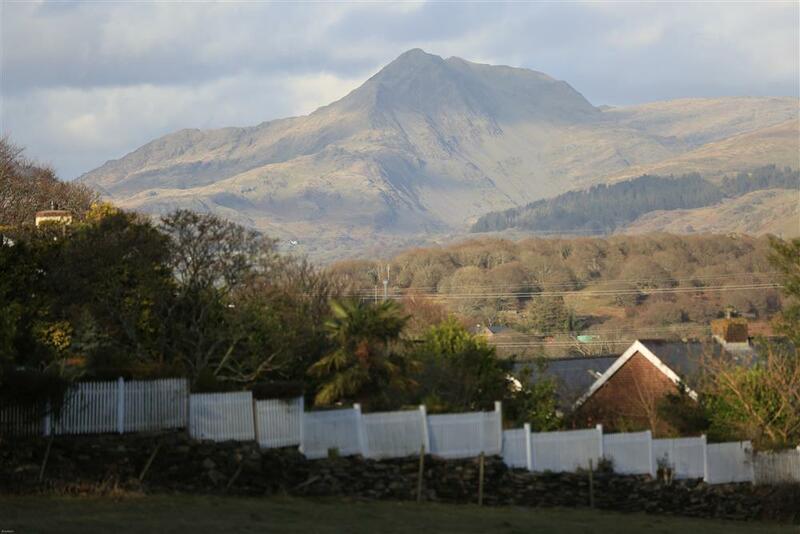 You are welcome to share and enjoy our 4 star rated holiday home near Porthmadog. Artist Cottage is a lovely single storey villa with un beatable sea views from all rooms. Situated near the pretty village of Portmeirion (as seen on TV) there is an unique semi circular conservatory with camera obscura views of Snowdonia and the estuary foreshore. The spacious fully fitted modern farmhouse style kitchen has double doors leading to the dining room and conservatory. 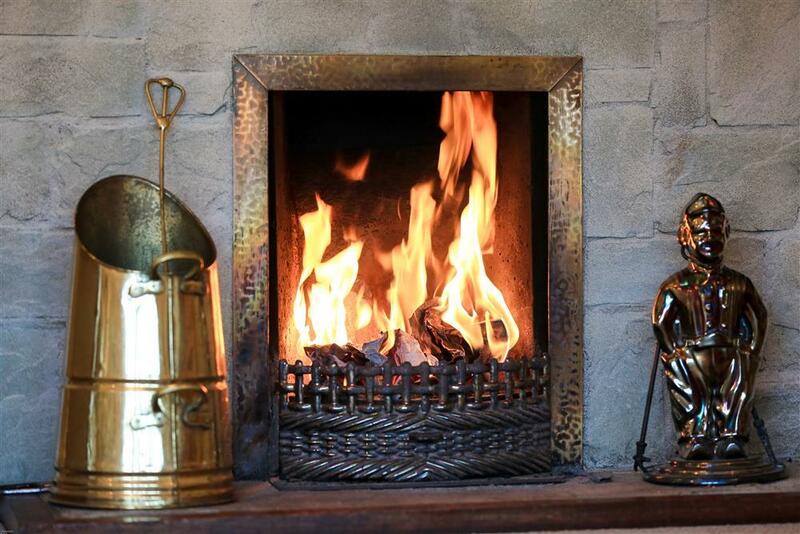 There is an open fire in an original slate fireplace in the cosy lounge with wide screen tv & DVD. The enclosed grounds are mainly to lawn and shrubs with ample parking and an elevated terrace for BBQ meals whilst enjoying the southerly views. Portmeirion village, it's 'wild' gardens and foreshore is within walking distance where there are small shops, cafes and top rated restaurants. We particularly recommend seeing the steam trains of the Ffestiniog narrow gauge railway pass by about 500 m away, climb Snowdon mountain which is just of 30 minutes drive and swim in the sea off Black Rock Sands. We offer linen, central heating, internet access, bike storage, cots & high chairs and even have a companion wheelchair if you need one. Guests are amazed at the beauty of the scenery here. 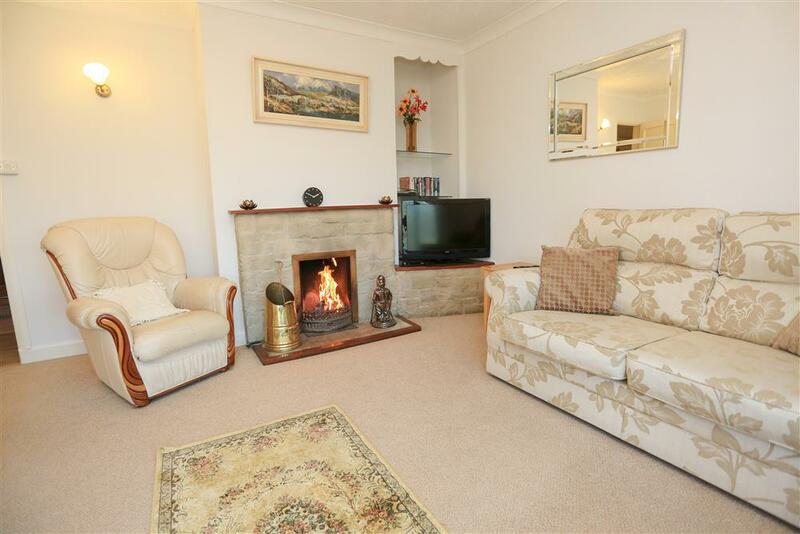 3 BEDROOMS: All are on the ground floor. 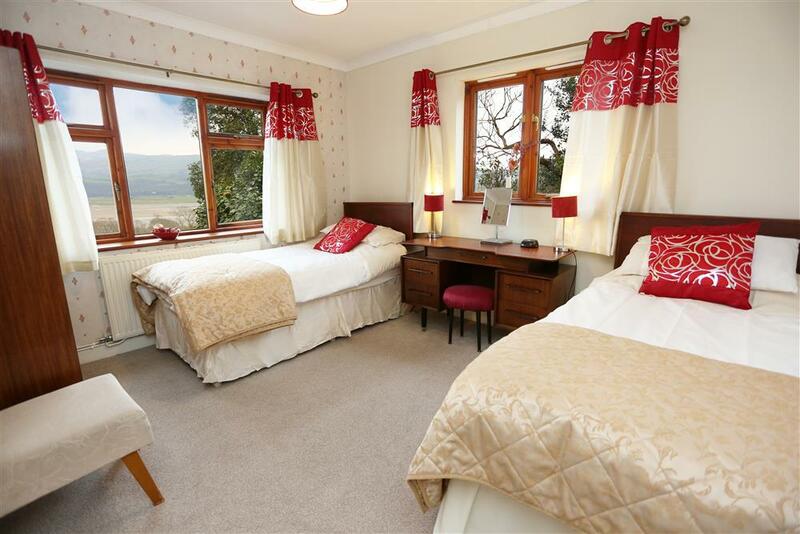 1st Bedroom has a Double bed incl. small TV and iPod dock. 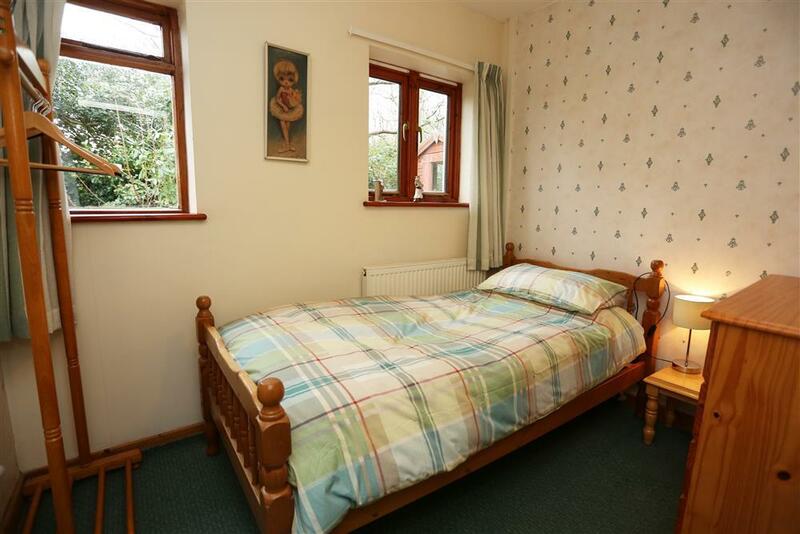 2nd Bedroom has 2 Single beds. 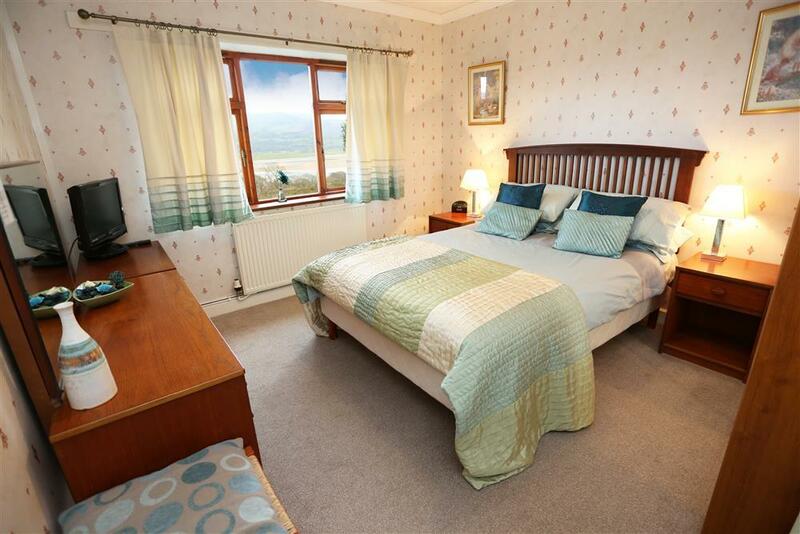 1st & 2nd Bedrooms have stunning sea and mountain views. 3rd Bedroom has 1 single bed at the back of the house. Bed linen is provided and towels are available to hire. 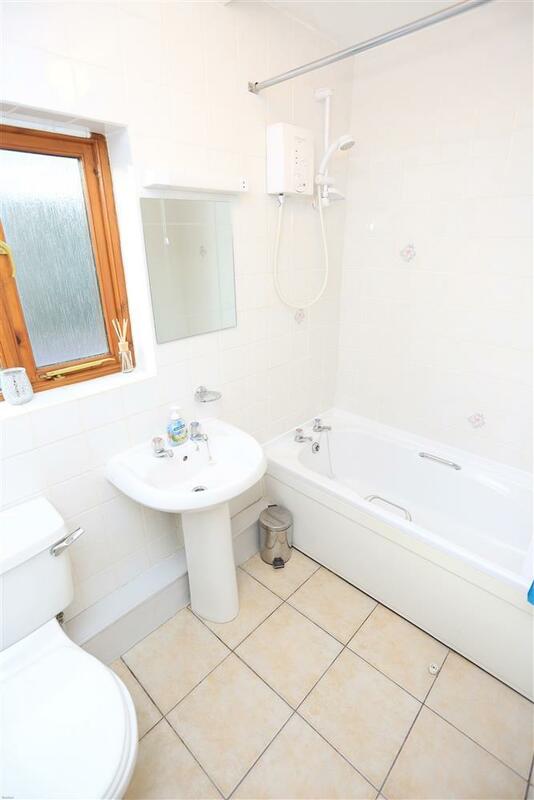 BATHROOM/WC with shower over the bath on ground floor. SHOWER ROOM/WC with corner cubicle on ground floor. KITCHEN/BREAKFAST ROOM: Cottage style fitted units with ceramic hob and double oven, fridge, microwave and dishwasher. 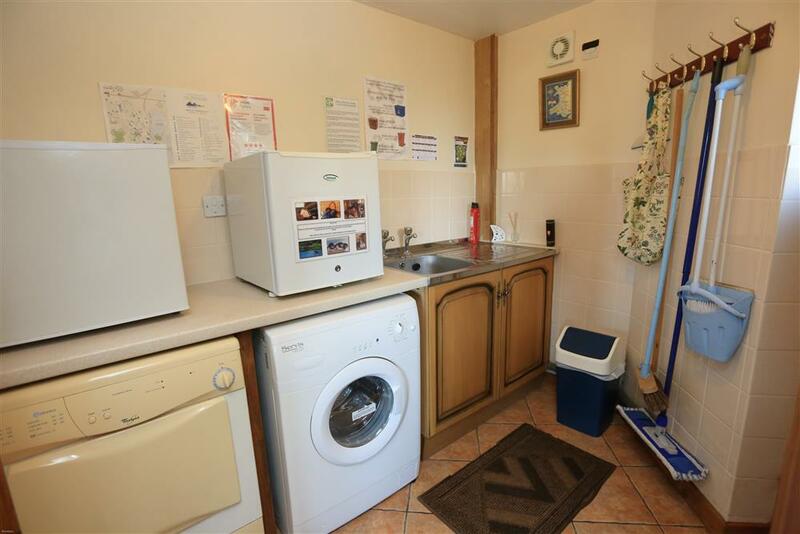 UTILITY ROOM: Washing machine, tumble dryer and freezer. GARDEN: Private and enclosed with elevated terrace, views and garden furniture and BBQ. PARKING: Ample private parking within the gated grounds. Free storage for bikes in garage. ACCESS is up a well maintained 100m country lane. PETS: Maximum of 2 dogs accepted if they are happy to stay in the kitchen, dining room and conservatory area where there is a wooden floor. No pets please in the carpeted areas in the house (lounge and bedrooms) unless lying on a blanket. 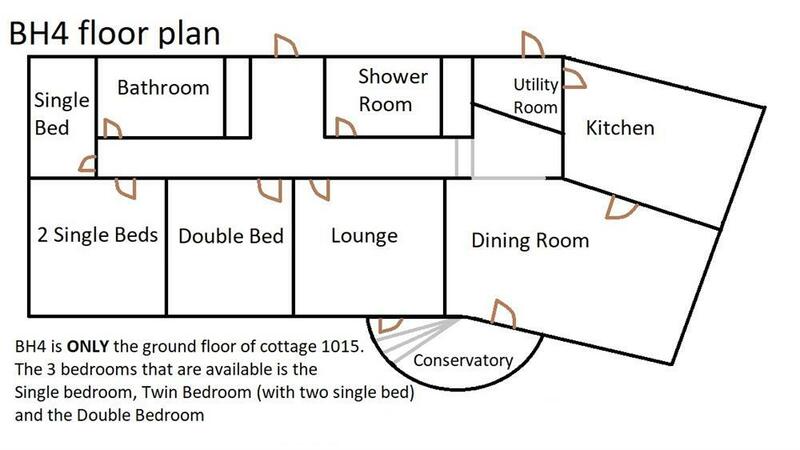 EXTRA: The cottage is split level. The kitchen, dining room and half the conservatory is on the ground level and the lounge, bedrooms and both bathrooms are on a slightly higher level with 3 steps and hand rails. COT: If cot required, please call to confirm the specifications and bedding provided before you arrive. FAQ: There is a highchair and 1 stair gate at the cottage. Garden is enclosed enough for dogs. Mini-break rules at this cottage: A mini-break is a holiday for less than a week and/or may start on a day which isn't the normal changeover day (Saturday). This property owner will only accept mini-breaks at short notice - not more than 14 days before the starting date of the holiday. Mr & Mrs H (Jan, 2019): "Thank you so much for the lovely cottage - from the moment we arrived ... to the moment we left. Loved every minute. HOME FROM HOME WITH STUNNING VIEWS"
The S Family (April, 2018): "We have had a lovely week in the cottage. It has been so relaxing & peaceful, and it is always sad to have to go back home at the end... We hope to come back again very soon." 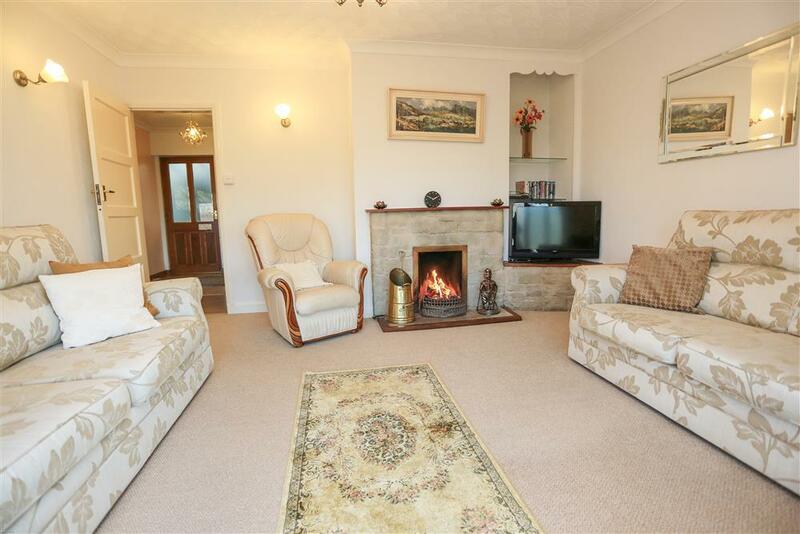 Mr & Mrs I (Nov, 2015): "Just to say the cottage was amazing. Would go again I like that end of Wales." Mr & Mrs S (Sept, 2014): "...what a view!" A. R. (Sep, 2014): "What a lovely cottage. Everything we needed and wonderful location. We'll be back"
(Aug, 2014): "4 generations 8 in total and 1 dog. 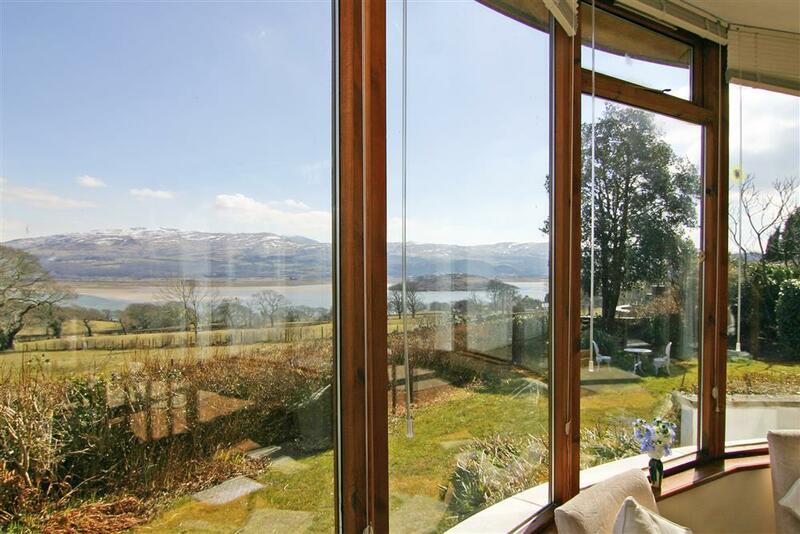 All enjoyed spectacular views and walks Thanks"
B & B (Aug, 2014): "A lovely location, with beautiful views. Loved the cottage." S family (July, 2014): "A lovely place to stay with views that we wish we could take home :-)"
S, C, R & G (June, 2014): "A beautiful cottage. Have had a wonderful week. Many thanks." 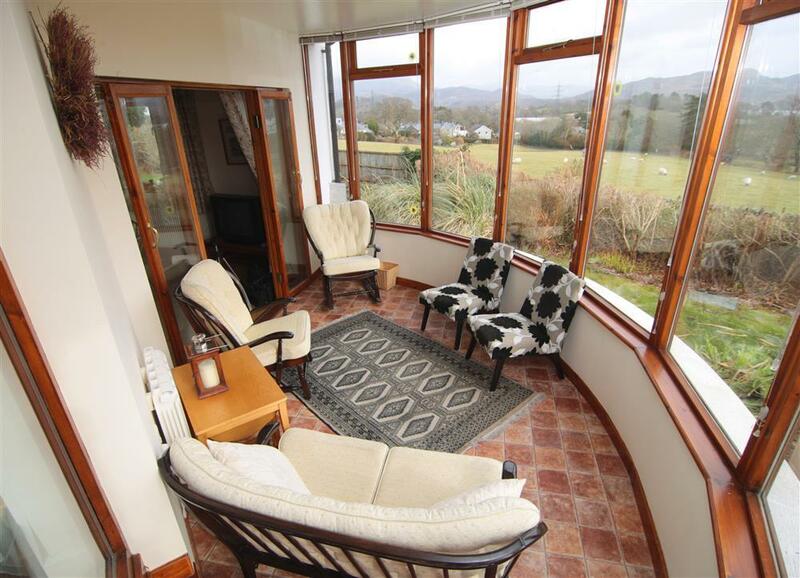 J family (May, 2014): "A lovely cottage with beautiful views. We very much enjoyed our week." Please note: A returnable £100 Good Housekeeping Deposit will be required before we can give the key safe code. Our experience shows that this procedure results in an all round better holiday for everyone, as our holiday home owners are prepared to offer better quality properties for guests and all guests fully respect the property and so make manageable the process of preparing the property for the next guest's full enjoyment. Nearly all our guests are respectful people where the bond is fully returned. We have a high proportion of returning guests who are appreciative of our service and the high standard of accommodation that we strive to provide. Please be assured that STS is a Visit Wales/Welsh Assembly Government Accredited agency. Thank you in advance for your co-operation. The cottage is split level. The utility room, kitchen, dining room and half the conservatory is on the ground level and the lounge, bedrooms and both bathrooms are on a slightly higher level with 3 steps and hand rails. Parking is on a tarmac surface 15 feet from the utility room door or 25 feet from the front door. How many nights? 3 nights 4 nights 5 nights 6 nights 7 nights 14 nights 21 nights How many adults? 0 1 2 3 4 5 How many children? 0 1 2 3 4 5 How many infants*?